With a dazzling display of William Shakespeare's fondness for wit and wordplay, Much Ado About Nothing is a high-spirited comedy, edited with notes by R.A. Foakes, and an introduction by Janet Dillon. 'Some, Cupid kills with arrows, some, with traps'. Proud, vivacious Beatrice and a high-spirited rake Benedick both claim that they are determined never to marry. But when good-hearted mischief-maker Don Pedro tricks them into believing that each harbours secret feelings for the other, Beatrice and Benedick begin to question whether their witty banter and sharp-tongued repartee conceals something deeper. Schemes abound, misunderstandings proliferate and matches are eventually made in this sparkling and irresistible comedy, famously adapted by Kenneth Branagh in a film starring Keanu Reeves and Emma Thompson. This book contains a general introduction to Shakespeare's life and Elizabethan theatre, a separate introduction to Much Ado About Nothing, a chronology, suggestions for further reading, an essay discussing performance options on both stage and screen, and a commentary. 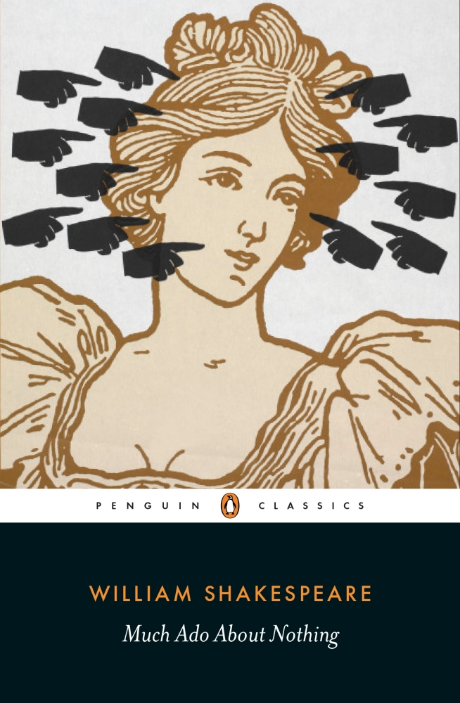 If you enjoyed Much Ado About Nothing, you might like As You Like It, also available in Penguin Shakespeare. "How is it possible that Shakespeare understood the human heart so well." (Saskia Reeves).